Contact your county's family court to obtain copies of the response forms. Some courts have the forms available on the Internet for you to print out, or you can visit the court in person to pick up the forms. Answer the claims made in the Plaintiff's Complaint. For each item, note if you "admit" to or "deny" the claim. The Vermont Judiciary explains that if you deny a claim, you would then "write what you believe to be true" in your answer. 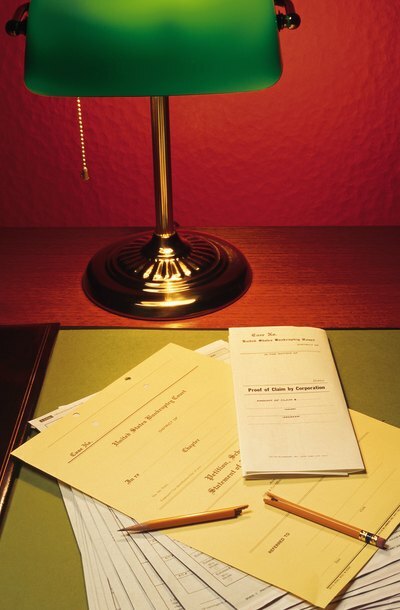 Include the case number from the Summons and Complaint on this and all documents you file with the court. Include information about custody and child support if you have minor children. If you want sole custody of your children, you will need to provide a breakdown of parenting time. This is a detailed explanation of when you want the non-custodial parent to have visitation with the children. If you think you should get child support, state this in your answer. The amount of support awarded by the court is usually determined based on the income of both parties. Deliver the papers to the court clerk for filing. Bring at least three copies of the answer with you. The clerk will stamp the copies as filed. The court will take one copy for its file. Keep one copy for your records. If your spouse has hired an attorney, send a copy to the attorney. If your spouse does not have an attorney, send a copy to your spouse with a return receipt. Alternatively, you can have a sheriff or process server personally serve the answer on your spouse if they do not have an attorney. When you file for divorce in Kentucky, you must decide whether to hire an attorney or complete the divorce documents on your own. Consider whether you have the ability to reach a settlement with your spouse and if you can complete the divorce paperwork without professional help. If you need help with the documents, legal document service providers offer personal assistance to complete the appropriate forms.